Peter Sprague | Beach Blanket Blendo! Good People, I’m just back from a rubber band bend the body session at the ocean’s edge and the summer’s prelude is lining up. It’s looking to be a good one with warmth, my daughter Kylie back in the hood, a fair amount of work, and some open space too to goof off! Beach blanket blendo! I’m listening to Maria Schneider’s new release called Winter Morning Walks as I write to you. It’s filling the office air with majestic swaths of creative orchestration. Beautiful! Over the last couple of months I’ve had some requests to transpose two of my jazz solos books over to Bb and Eb instruments. It took a bit of time but I’m happy to announce that the Charlie Parker book is now available for both concert and Eb instruments. 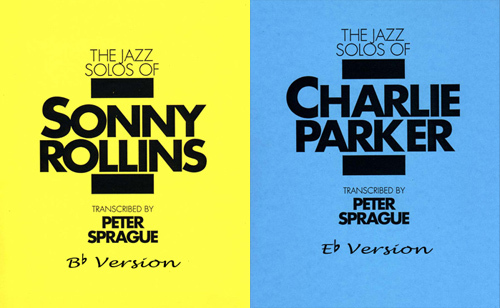 The Sonny Rollins book is now in both the concert key and a version for Bb instruments. In the process of getting these transcriptions over to the computer from their earlier handwritten versions I also was able to upgrade the level of accuracy of the notes and rhythms as I think my ears have improved over the years plus the audio technology that exists today is far superior than what I was using back in the day. Click here to get the details on the books and you’ll dig their inspired notes. Up for this week is my happily continuing Thursday night hit at the Roxy in Encinitas. 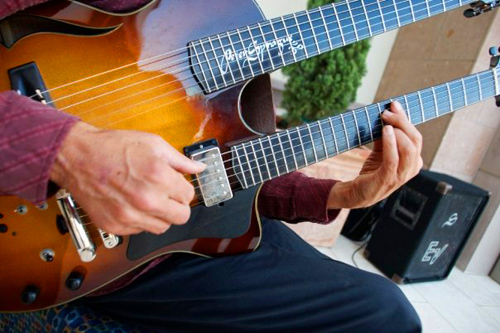 I play solo guitar and traverse between Brasil, the Beatles, Gershwin, Hendrix, Bach and Weather Report. I include some of my originals too and I dress all of the music up with ongoing possibilities of loops, escape hatch diversions, spontaneous medleys, and when it’s quiet enough in there, wide open sonic space. It’s a hoot! Come and join me for music and great food. On Friday night I’m meeting up with bassist Ben Wanicur and his group to play a show at Dizzy’s. Ben’s just released a new CD of his own music and that’ll be the road we travel down for this gig. 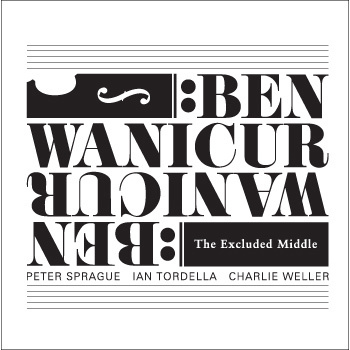 It’s called The Excluded Middle and it’s interesting stuff with great players and inventive tunes. Check out his site here and we hope to see you there. I’m thrilled to be included in the Christ Presbyterian Church’s concert schedule and on Sunday night I’ll play an hour long solo guitar program. The church has great acoustics and silence will be our friend. It should be a nice one and look to the gig calendar for the details. My recording The Space Between Two Thoughts is our band Dance of the Universe Orchestra’s second project. A wandering hippie named Jamil Soorami came into the gig one night and gave me a poem called Dance of the Universe. I think it was a coincidence, in other words, I think he had written the poem before meeting us and when he heard our band, he flipped out and figured we ought to have his poem. I put music to it and this along with the epic The Space Between Two Thoughts composition rocketed our group of young musos off into thin air. It’s a wild tune that goes to a bunch of different places and I love the “chant” section where Ron Satterfield goes stellar! Check it out!